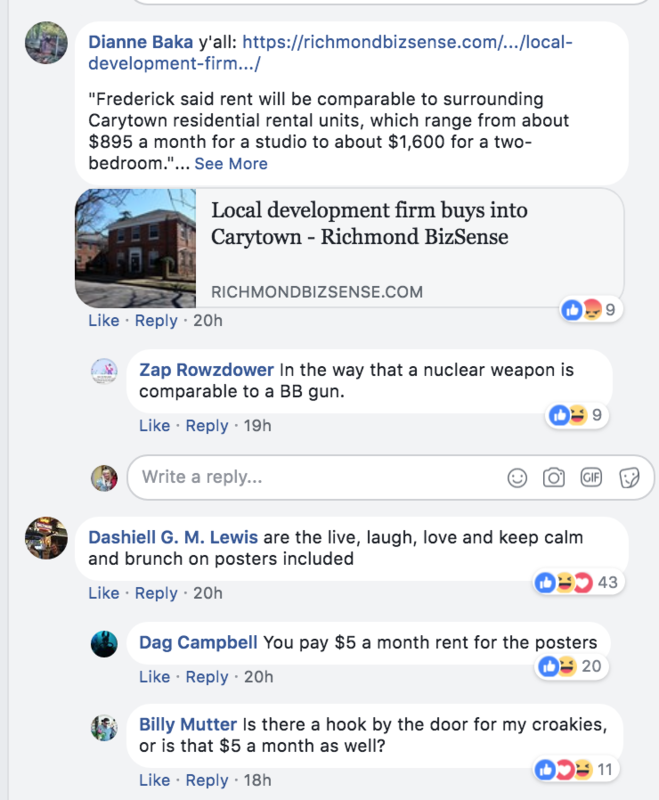 For only $1,319 you too can live in a 445 square-foot apartment and “experience old Richmond charm in the heart of a bustling shopping and entertainment district,” according to the website of a new apartment building in Carytown. 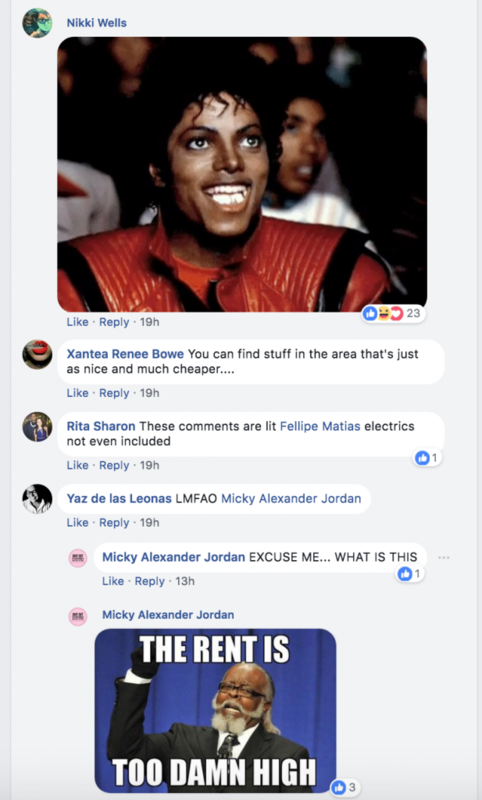 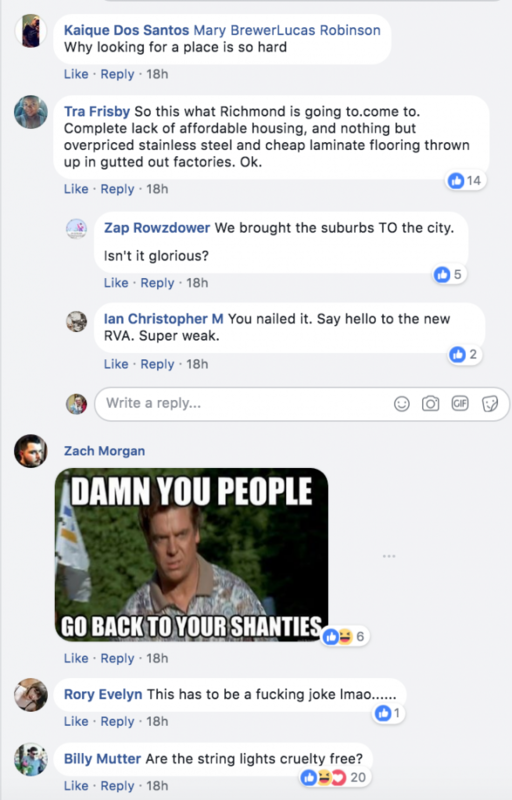 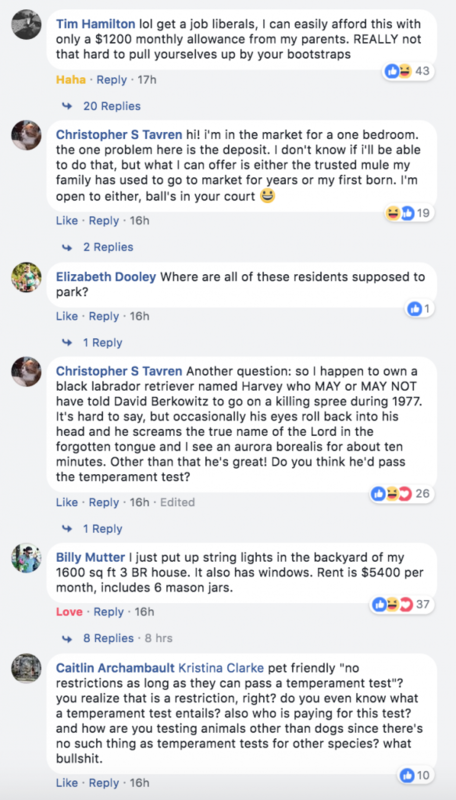 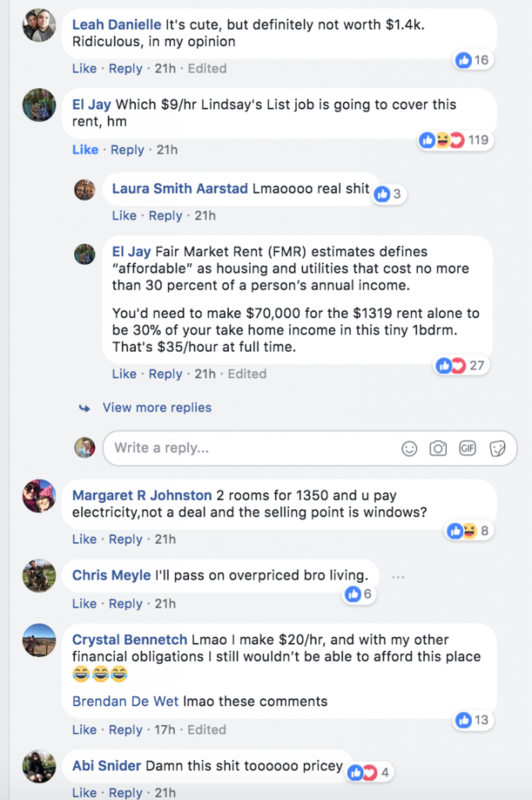 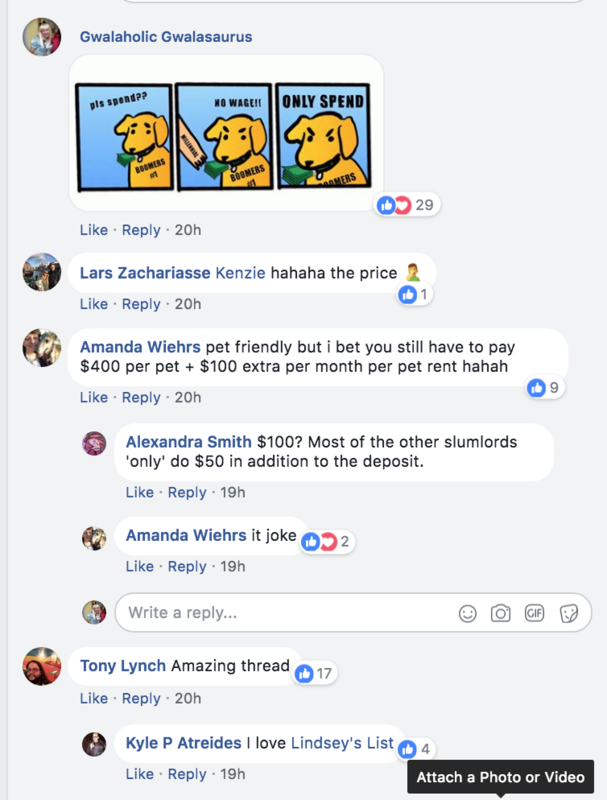 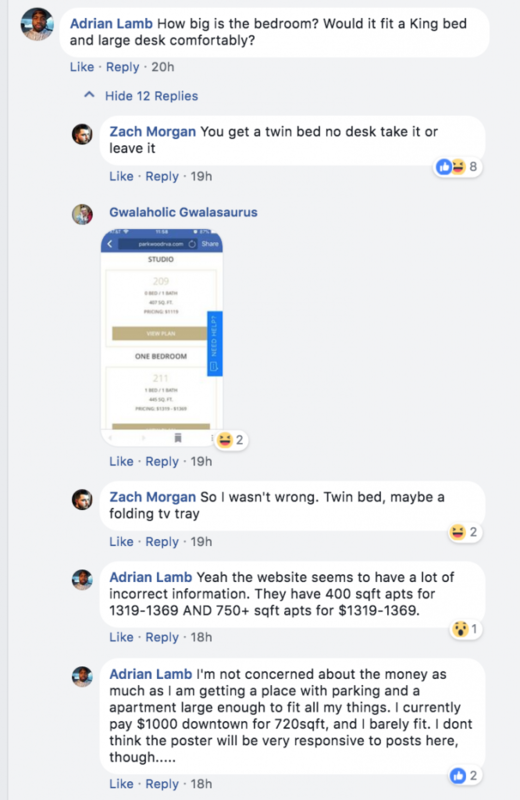 If that sounds a little steep to you, you’re probably having the same reaction neighbors and other Richmonders had Wednesday on Facebook, when a now-deleted post announced the sky-high price for a single-bedroom unit. 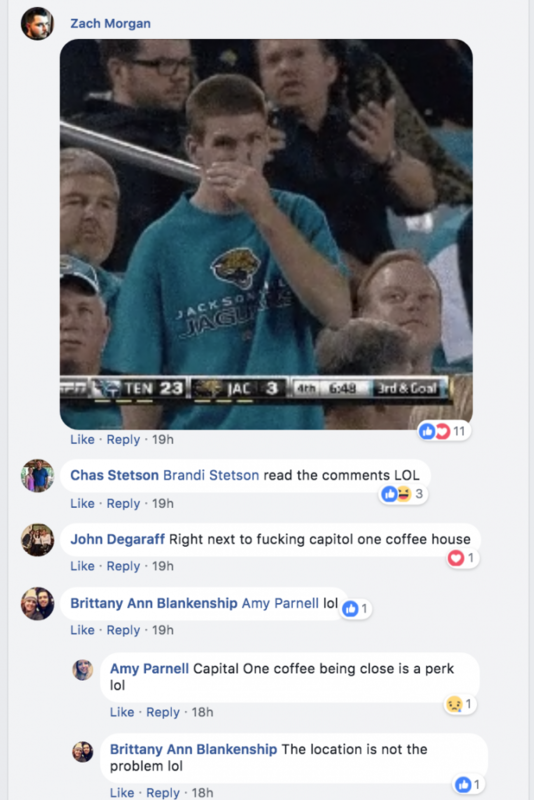 As you can probably guess, that reaction wasn’t positive. 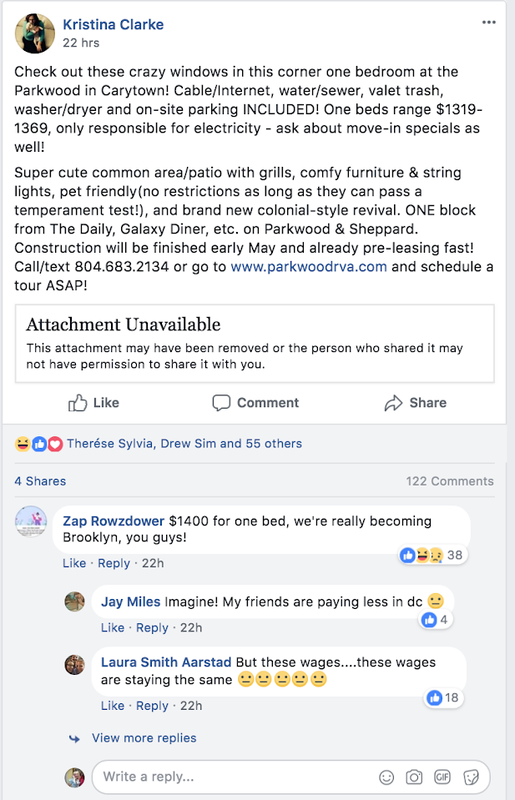 People compared the pricing to Brooklyn, Washington, D.C., and the San Francisco Bay Area, all of which seems fair to this reporter after checking in with friends who live in Manhattan and the nation’s capital. 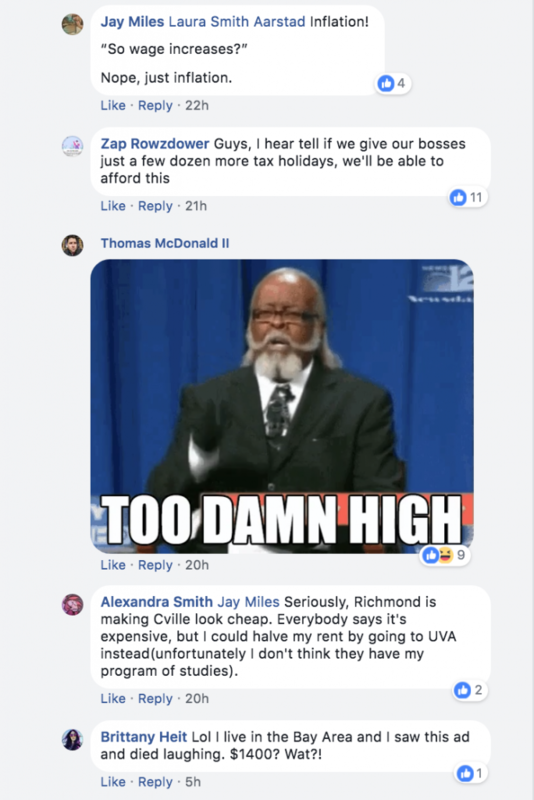 Also relevant–Richmond has one of the highest eviction rates in the nation. 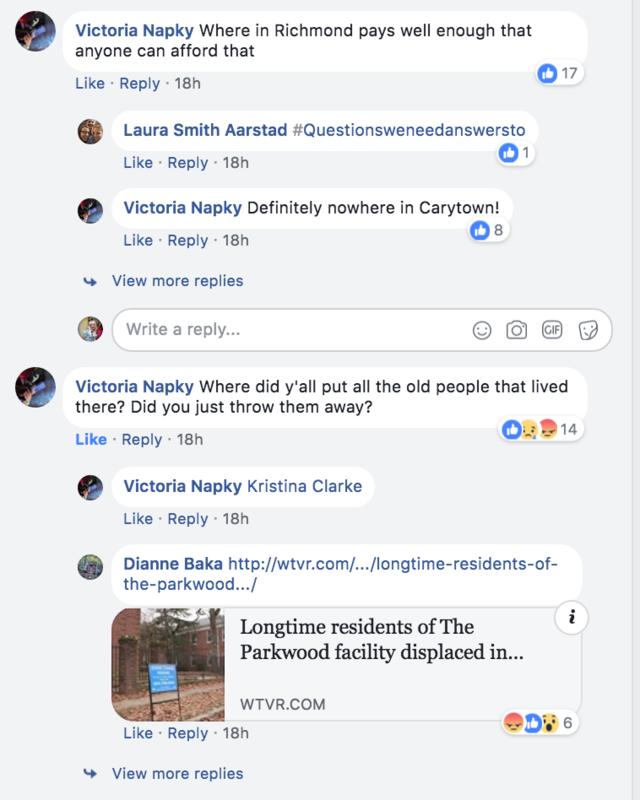 The high-priced units will be in The Parkwood, a renovation of the long-neglected neighborhood assisted-living facility that sold in 2016 with the same name. 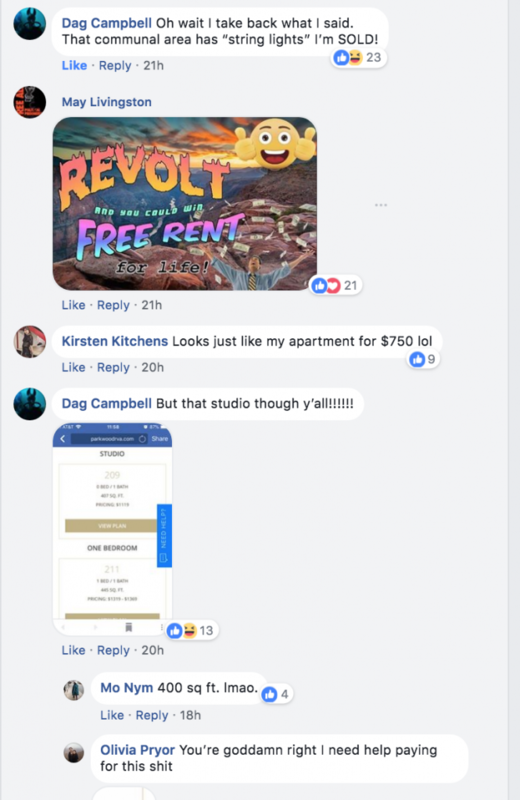 The property is managed by Dodson Property Management, LLC, who listed a 407 square-foot studio as the least expensive option at $1,119. 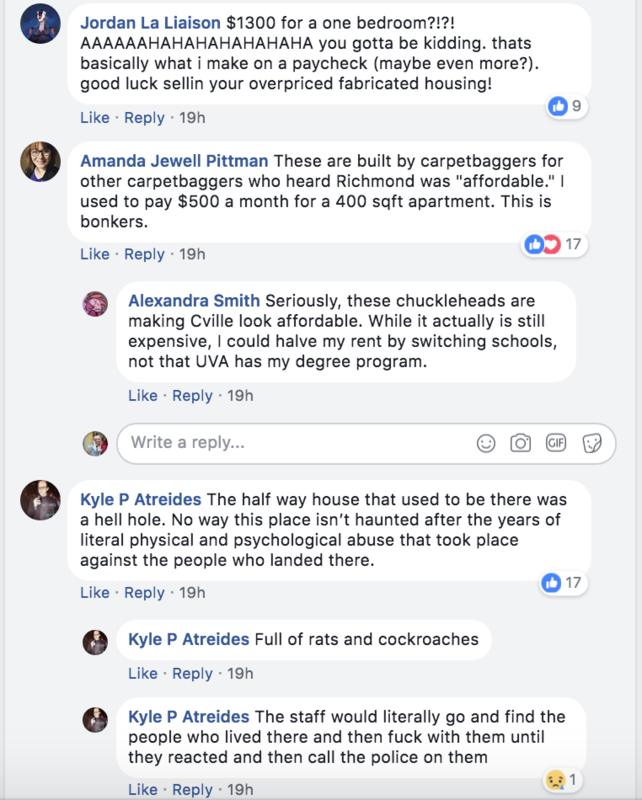 The developer behind The Parkwood, Crescent Preservation & Development Co., first announced their plans for the $5.5 million renovation, partially funded by an anticipated $1.7 million in state and federal tax credits for historic preservation, to Richmond BizSense last year. 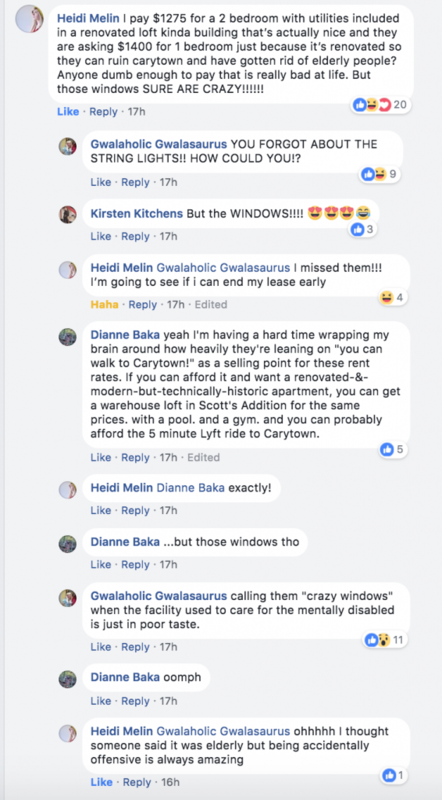 Critics outraged by the sky-high rent for the building referred to that article, which attributes Crescent’s owner, Zac Frederick, as saying the rent would be “comparable to surrounding Carytown residential rental units,” with a range of “$895 a month for a studio to about $1,600 for a two-bedroom.” The two-bedroom units currently listed on The Parkwood site are listed at $1,669 and $1,719 respectively. 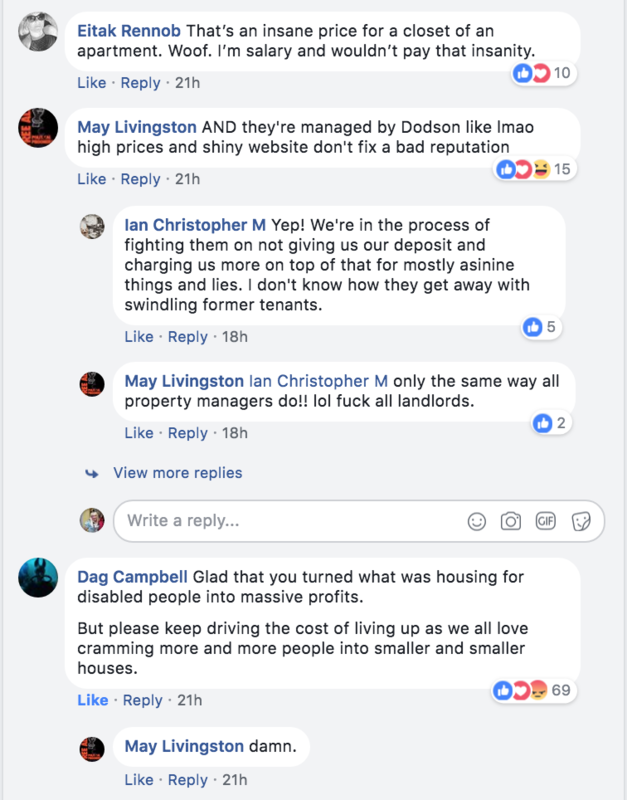 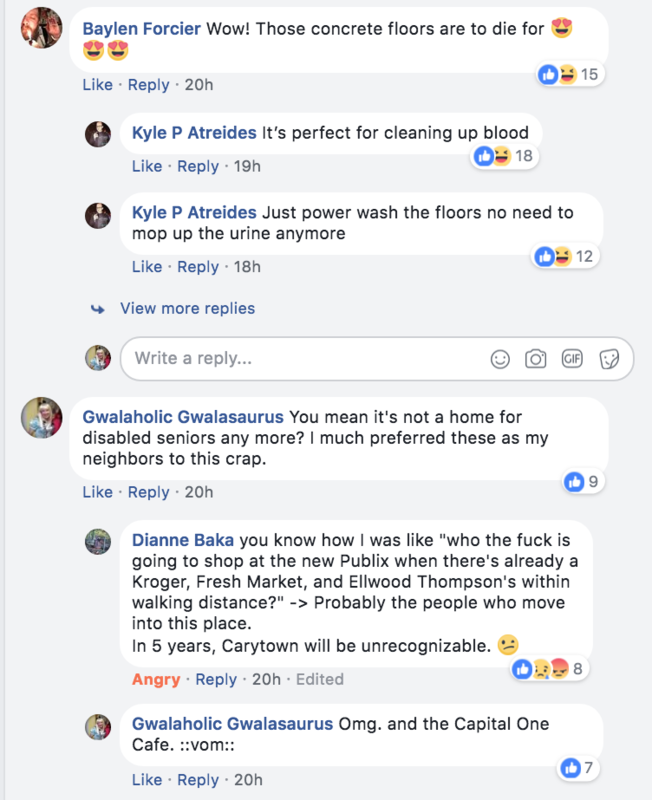 We were unable to reach a representative of Dodson or Crescent by press time, but decided to go ahead with this piece because our anonymous correspondent is right: The Facebook comments are highly entertaining. 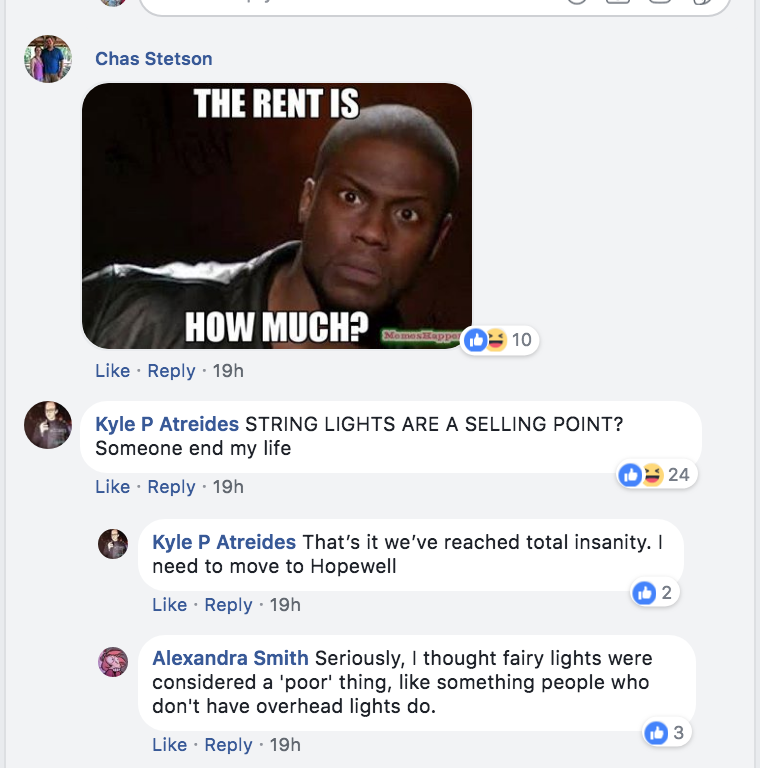 Respondents zeroed in on the string lights, the concept of “temperament testing” for pets, the phrase “crazy windows” used to describe windows in what was once a home for the elderly and people with special needs, and, of course, the tiny footprint for a price that seems “too damn high” in a city known for being an affordable alternative to high-priced Washington D.C. 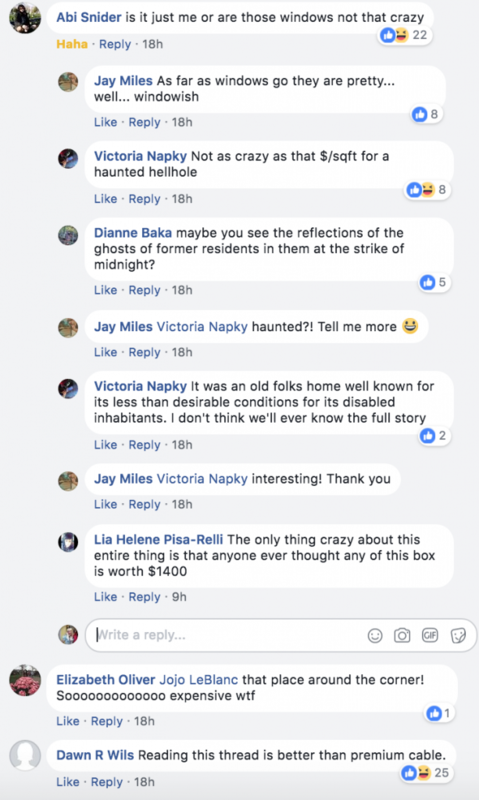 The entire thread is reprinted below for anyone who missed the fireworks.